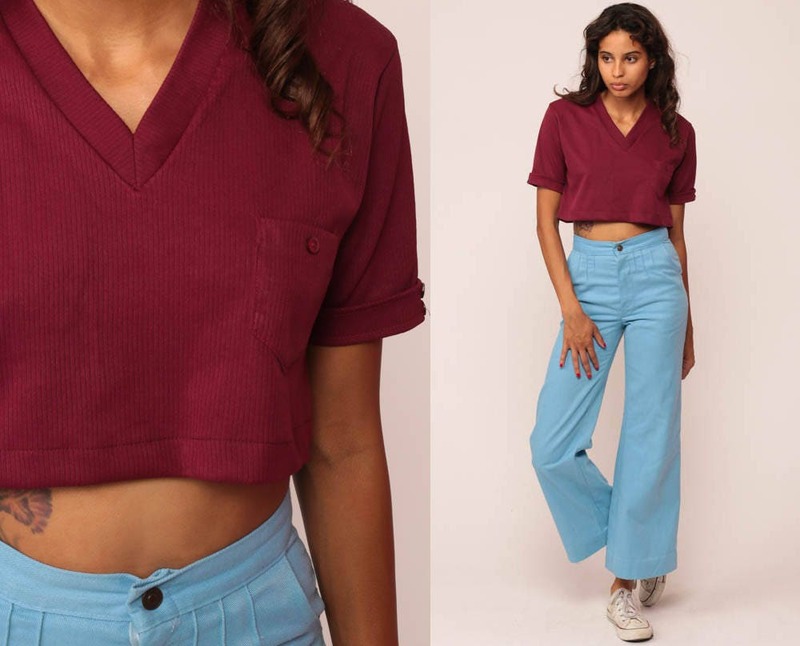 Vintage 70s t shirt in burgundy with a v neck and a chest pocket. 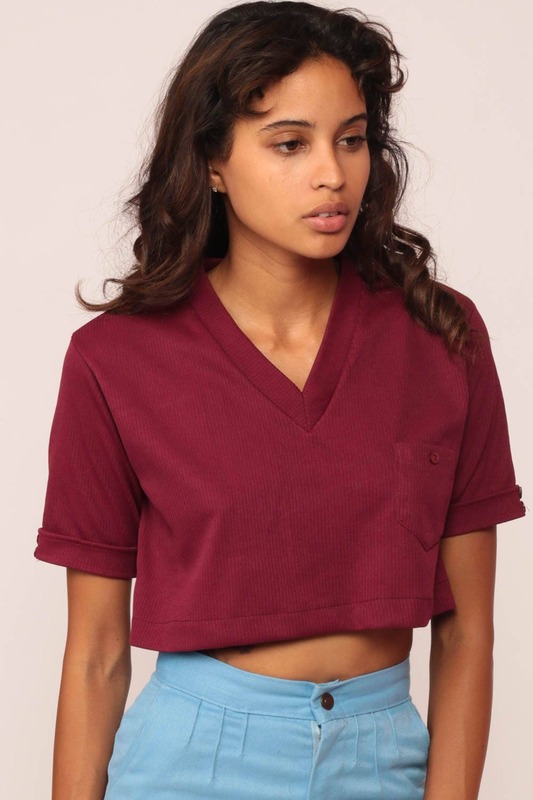 Cropped fit with short sleeves. For reference, model is 5’7” and measures 32-23-34. Material: polyester. Has some stretch.